Earlier in the day, the police arrested a local seer in connection with the incident. Identified as Pattada Immadi Mahadevaswamy, the Mahadeshwara Hill Saluru Math seer, is suspected to have a 'role' in the temple tragedy, the cops claimed. Bengaluru: The Karnataka Police made a major revelation in connection to the Chamarajanagar temple tragedy on Wednesday. It said that the suspected poison was mixed with the ‘prasad’ to get control over the temple. At least 15 persons died on the evening of December 15 after they consumed ‘prasad’ at Maramma temple in the district. “This was done to get control over the temple. So far four persons have been arrested. It is suspected that poison was mixed with the prasad,” Sharath Chandra, IGP South Zone, said. Earlier in the day, the police arrested a local seer in connection with the incident. Identified as Pattada Immadi Mahadevaswamy, the Mahadeshwara Hill Saluru Math seer, is suspected to have a ‘role’ in the temple tragedy, the cops claimed. At least five people, including the seer and a woman, are believed to have a direct role in the incident, police sources were quoted as saying in a PTI report. 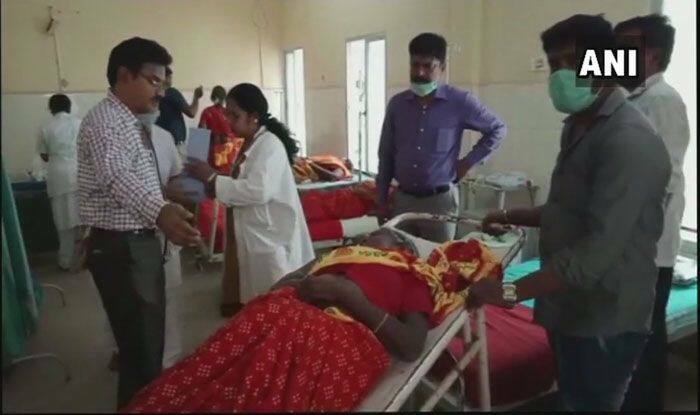 So far, the officials have quizzed 11 people about the December 15 incident, in which more than 120 people fell ill after consuming prasad distributed at Maramma temple in Sulavadi village of Hanur taluk in Chamarajnagar district. On the day of the incident, nine people died, while six others lost their lives over the next four days. 27 people are still in a critical state. The Karnataka Pradesh Congress Committee President Dinesh Gundu Rao on Saturday announced Rs 1 lakh compensation to the kin of the victims in Chamarajanagar temple tragedy. The temple where the prasad was served comes under Kitchalavadi temple trust. During the event, the devotees were served rice bath as prasadam, following which they fell sick. A lab test done on the ‘prasad’ revealed that it contained insecticide.